I have thoroughly enjoyed watching this beautiful little girl grow over the past year of her life! I’ve been lucky enough to document this sweet girl since she was still in her Mama’s belly! 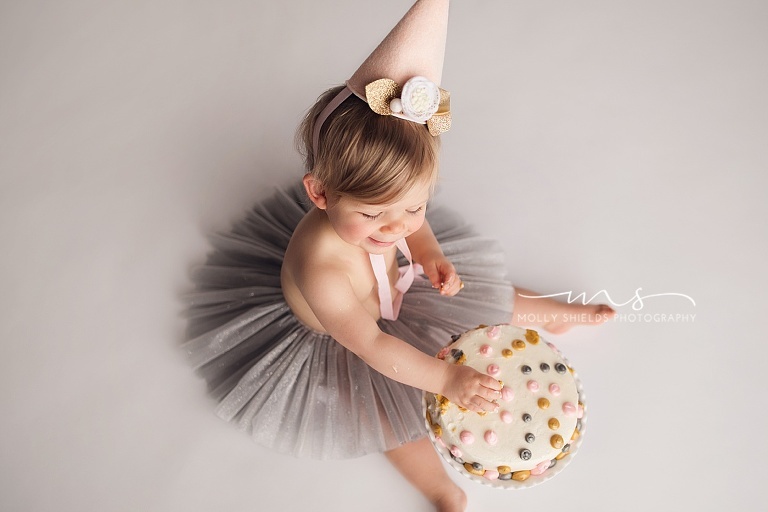 Now she’s turning ONE!!!! 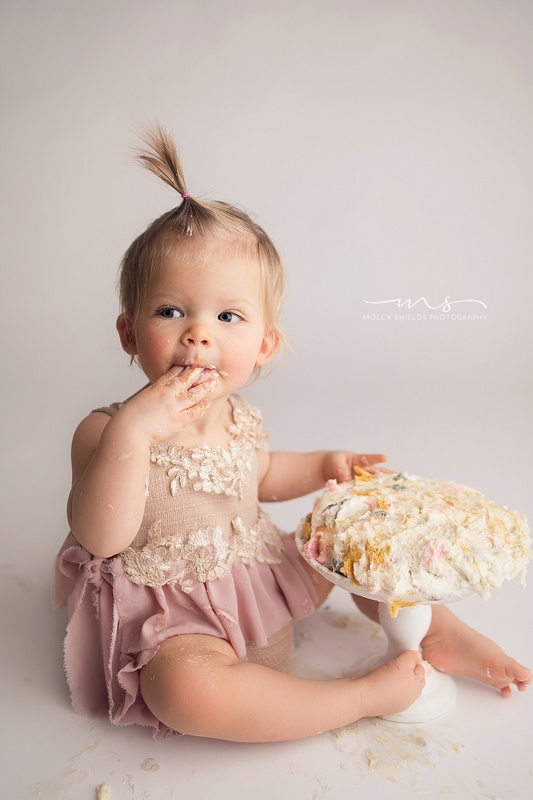 What better way to celebrate her first birthday than with a cake smash! 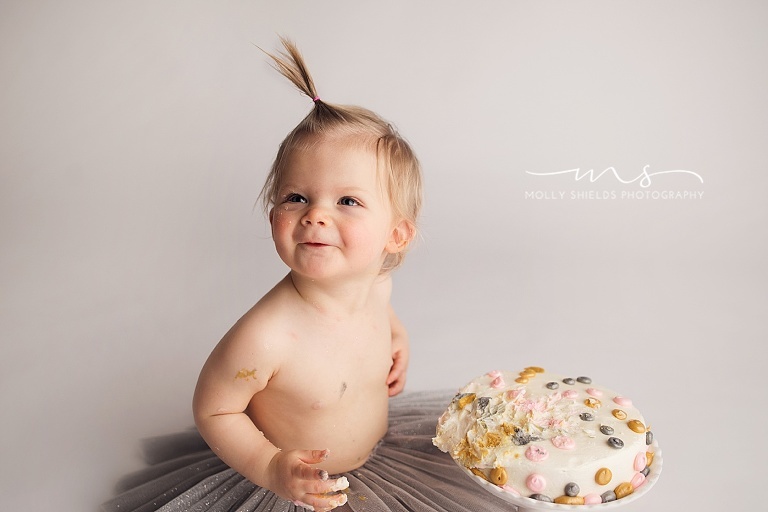 She was a bit tentative about getting her fingers dirty, but she did have have some fun and eventually took a couple tastes of the cake <3 Happy first birthday Hayden! © 2019 Minnepolis Newborn Photographer | Molly Shields Photography|ProPhoto6 WordPress Theme|Design by Northfolk & Co.